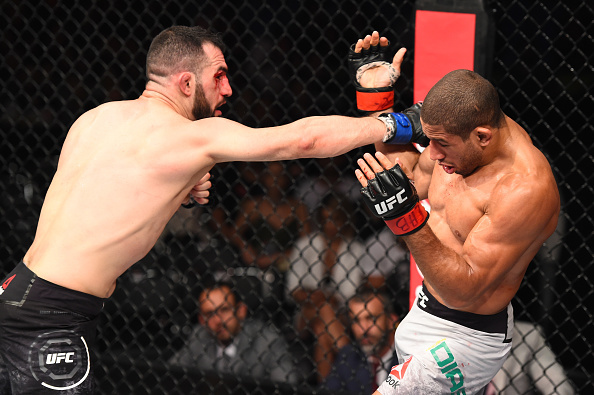 Who were the winners at Fight Night: Brunson vs. Machida? Click below to get the results for all the fights in Sao Paulo, Brazil on October 28, 2017. 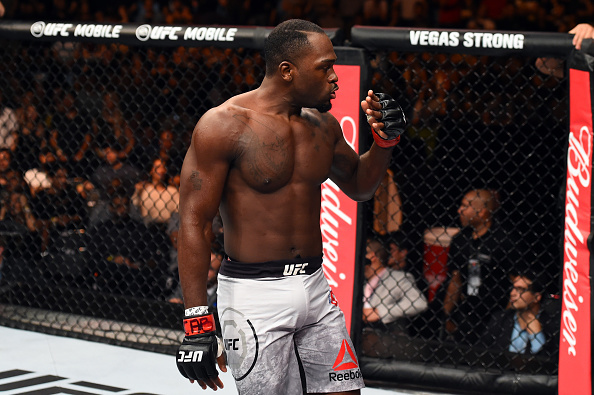 Derek Brunson waited for his perfect opportunity to unload his powerful left hook in the opening round against Lyoto Machida. He found his moment two and a half minutes in and it landed flush, sending Machida to the mat with the referee stepping in to call the TKO moments later. 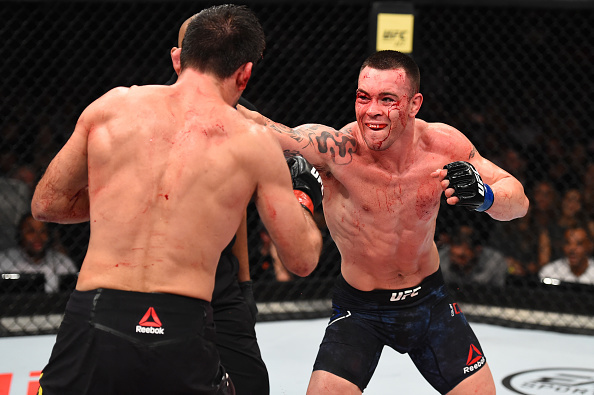 Unlike many of Demian Maia’s recent fights, the opening round against Colby Covington was a back-and-forth striking exchange with each fighter landing their fair share of blows. Maia shot for multiple takedowns throughout Round 2 but Covington defended and didn’t allow Maia to get the fight where he wanted. Covington closed the round as the more active fighter as each fighter went back to their corner bloodied (Maia’s nose and Covington’s right eye). 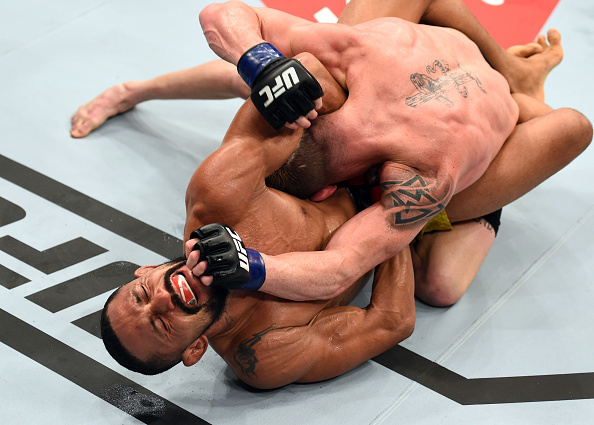 Covington continued to press the action through all of Round 3 as Maia fatigued. Both fighters lasted to the bell with Covington the clear victor of the final two rounds as he took the fight by unanimous decision (29-27, 30-27, 30-26). It was Covington’s fifth straight win and the signature victory that the seventh-ranked welterweight has been seeking. Rob Font landed quick, swift punches through much of the first round and had the momentum against Pedro Munhoz. 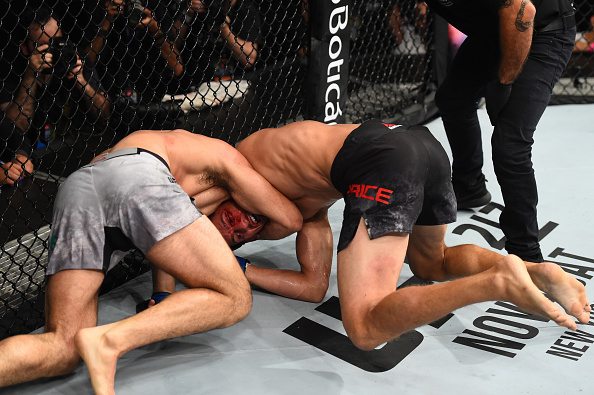 But when Font shot for a takedown, Munhoz countered instantly and locked in a guillotine choke for the first-round submission victory. Munhoz has now won four consecutive bouts in the bantamweight divison. Francisco Trinaldo dominated in the final two rounds against Jim Miller to secure a unanimous decision victory in Sao Paulo. Trinaldo outstruck Miller 40-19 and 33-14 in rounds two and three, respectively. It's Trinaldo's eighth win in nine fights, with the lone loss against former title challenger Kevin Lee. 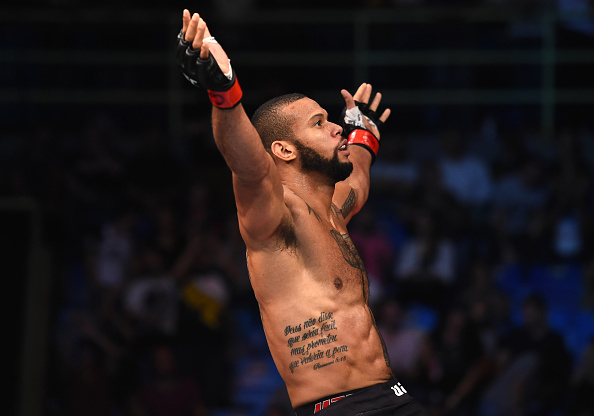 Thiago Santos accomplished what no fighter had before - he finished Jack Hermansson by TKO. Santos TKO'd Hermansson in Round 1 for his third consecutive win by knockout. The 15th-ranked middleweight is making a case to climb in the ranks, as he improves to 16-5. 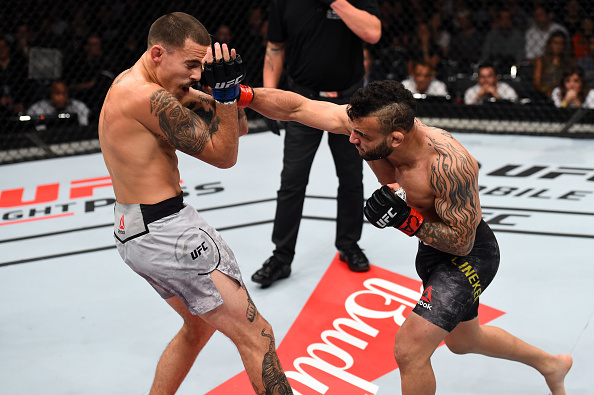 John Lineker landed nearly double the amount of strikes (105-54) against Marlon Vera and it was enough to earn a unanimous decision. Lineker is now a winner in seven of his past eight. 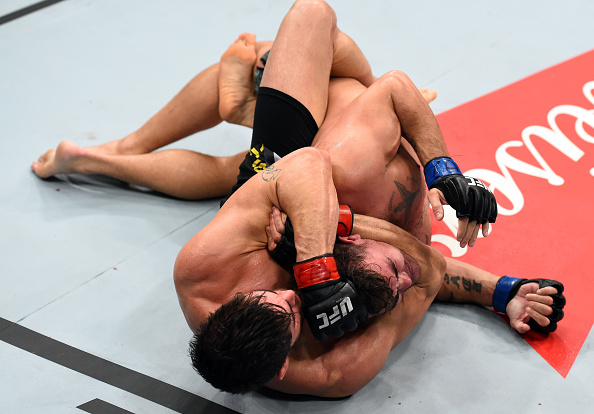 Vicente Luque got back in the win column with an impressive victory in Sao Paulo. After stunning Niko Price with a combination on the feet, Luque took his back and secured a D'arce choke in Round 2 for the victory. Luque is now a winner in five of his past six fights, improving to 12-6-1 overall. It was Niko Price's first loss in his professional career. Antonio Carlos Junior's winning streak continued Saturday as he submitted Jack Marshman in Round 1. As the fight went to the ground Carlos Junior snuck into a mount position and landed shots from the top. When Marshman attempted to escape, Carlos Junior took his back and sunk in the rear naked choke. 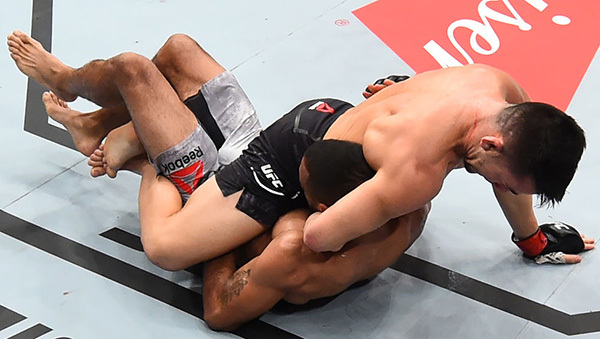 It was Carlos Junior's third submission victory in his last four fights. Jared Gordon landed an astonishing 163 strikes to Hacran Dias' 41 in Sao Paulo. Gordon nearly finished Dias in Round 2 with a ferocious ground-and-pound attack but Dias was saved by the bell. Gordon's unanimous decision victory brings his record to 13-1 (2-0 UFC). 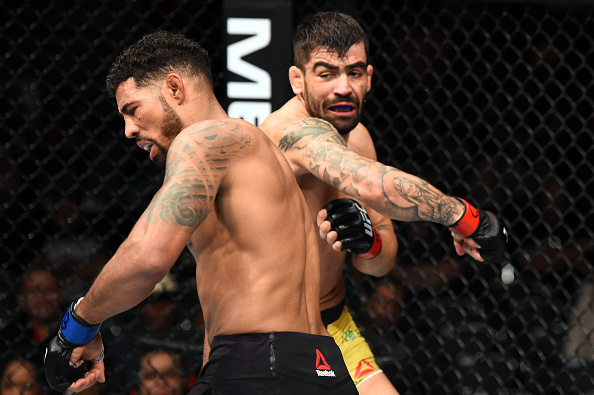 Elizeu Zaleski dos Santos improved his UFC winning streak to four on Saturday in Sao Paulo. Zaleski dos Santos outstruck Max Griffin 80-58 en route to a unanimous decision victory to improve to 18-5. 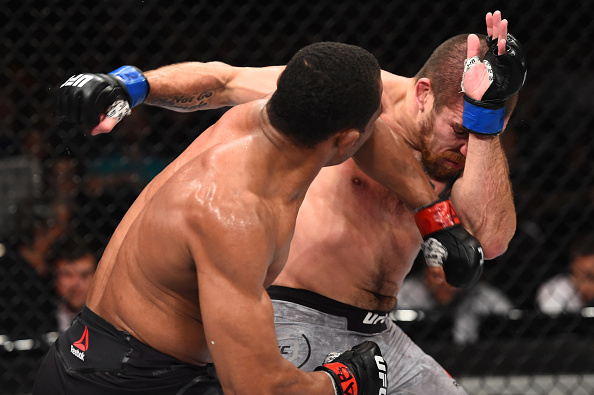 Undefeated flyweights Jarred Brooks and Deiveson Figueiredo went back-and-forth in an energy-filled bout in Sao Paulo. 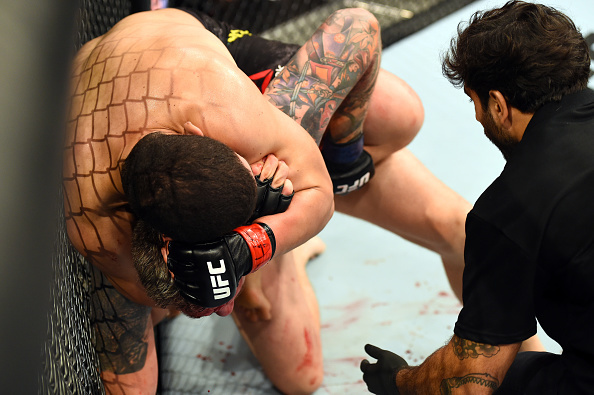 Figueiredo nearly earned a submission in Round 2 as he locked in a guillotine attempt after Brooks' takedown attempt. Figueiredo finished with more significant strikes and earned the split decision to improve to 13-0. Marcelo Golm shined in his UFC debut in Sao Paulo on Saturday. Golm punished Christian Colombo on the feet and eventually took his back on the ground to sink in the rear naked choke. Golm improves to 6-0 in his professional career.